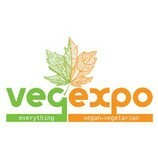 VEG EXPO is a day for the entire family. Enjoy cooking demonstrations with local celebrated chefs, information on locally sourced foods and products, explore innovative sustainable transportation options on the market, take a break in our ‘vegetation lounge’, enjoy free samples and giveaways plus get inspired by a natural vegan body builder showcase. Come find out why 20,000 attendees say they wait all year for this event.